Corrado Feroci (1892 – 1962) was a graduate of the Academy of Fine Arts in Florence, the art capital of Italy. He came to Bangkok in 1923 when King Rama VI requested the Italian government for a sculptor to train Thai artists and craftsmen and raise the standards of Thai art to international levels. The arrival of Feroci was to start a train of events that would have a profound impact on the development of Thai art.He started as a sculptor with the Fine Arts Department and taught sculpture to art graduates. 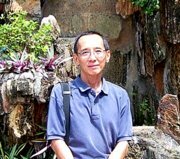 Later, he was asked by the Thai government to prepare a curriculum and the textbooks for the formal training of artists. With a formal teaching system in place, the Silpakorn School of Fine Arts was set up in 1937 with Corrado Feroci as the first director. In recognition of his services, Feroci was granted Thai citizenship in 1946 and changed his name to Silpa Bhirasri. 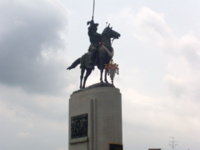 During his career in Thailand, he was responsible for 18 famous monuments in Thailand of which 9 are in Bangkok. 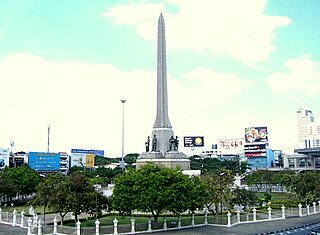 King Rama I Monument (1932) at the Memorial Bridge to honor the founder of Bangkok and the Chakri dynasty that has reigned over Thailand till this day. 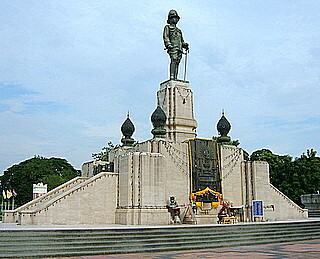 Democracy Monument (1939) in Ratchadamnoen Avenue to commemorate the coup in 24 June 1932 that ended the absolute monarchy and brought in constitutional government. 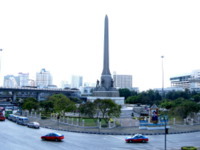 Victory Monument (1941) in Phahonyothin Road to honour Thai servicemen and civilians who died in the Franco-Thai war from November 1940 – January 1941, over disputed Indo-Chinese territories that are now part of Cambodia. 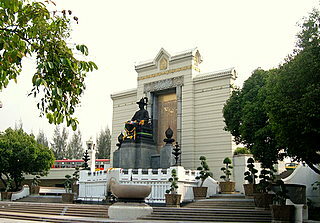 King Rama VI Monument (1942) in Lumphini Park, a monument that is fittingly in memory of the king who was responsible for inviting Feroci to Thailand. 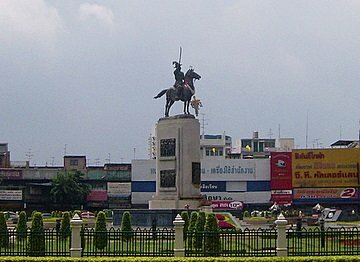 King Taksin Monument (1954) in Thonburi in honour of the king who united the kingdom after the fall of Ayutthaya, drove the Burmese out and established the capital in Thonburi. Corrado Feroci died in Thailand in 1962 leaving behind an institution dedicated to the preservation of Thai art. The Silpakorn University of Fine Arts has produced generations of Thai artists schooled in the best traditions. 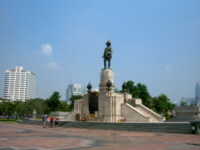 His famous monuments in Bangkok and Thailand bear further testimony to his legacy. The Silpa Bhirasri Memorial Museum in Silpakorn University was set up to honour Corrado Feroci and his contribution to Thai art.